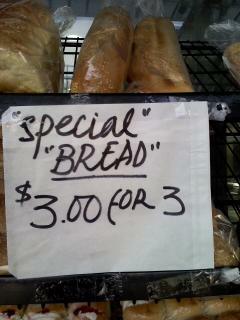 I wasn't entirely surprised with the blatant misuse of quotation marks in this instance - it was, after all, on the bread rack outside an Asian bakery in Port Adelaide. I didn't question whether the bread was special in any way (or perhaps not special at all! ), nor did I question whether it was bread, or something else entirely - "bread" for example. I'm not trying to stereotype, but I am personally somewhat less surprised when I see punctuation errors in an Asian bakery on the formerly rough side of town than I would be in, say, a book shop in a relatively toffee-nosed shopping centre. So... are they not new titles? 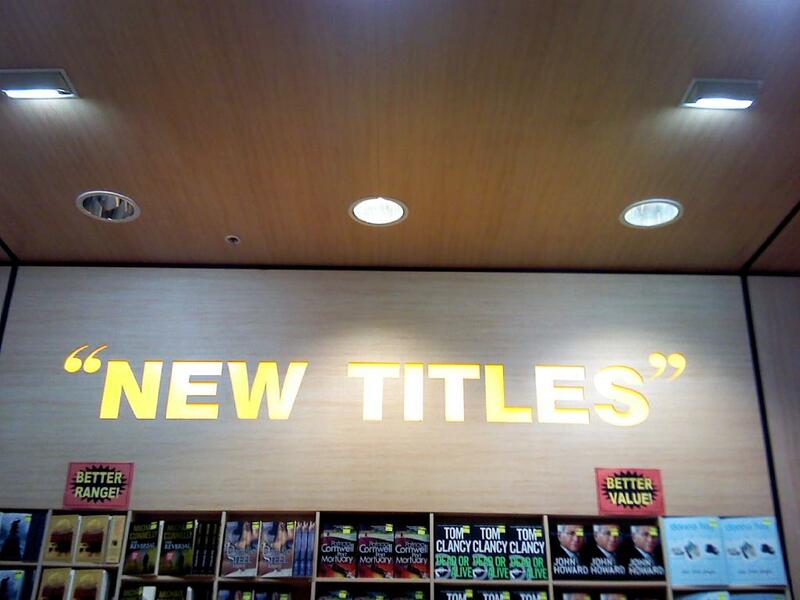 Or are they new, but not titles at all??? Sheesh. I guess that's what happens when you shop at discount book shops - they can't afford to get their signwriters to edit their work. Nuts to that! I think it's important to be generous when critiquing the English skills of non-native speakers. At least they are trying, and I doubt that it's an easy language to learn. Seeing as I don't speak any other languages, I shan't throw stones! On the other hand, when someone is a native English speaker, and presumably their work was checked by other native English speakers... that's lame. As are spelling mistakes in any electronic communication. Spell check, people!